Superheroes all seem to bump uglies with each other. We get it — it must be a lonely life being so much cooler, stronger, and hotter than anyone else around you. Heroes seem to either pair off (Ant-Man and Wasp) or they find a regular person that accepts who they are (Lois Lane and Superman). But what about those who don’t want that? It’s well known that guys like Batman and Daredevil get with hundreds of ladies as their alternate personas, but the women don’t get this luxury. The women in comic books are always forced to use the men around them for their extracurricular activities. 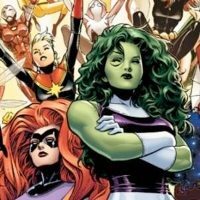 For example, Carol Danvers, aka Captain Marvel, has a number of boyfriends, but almost all of them at one point were her partners when she was working for S.H.I.E.L.D. It’s not fair to them. While Wolverine can go around and sleep with everyone, girls like Kitty Pryde are forced to only experiment with other X-Men that she can find within the halls of the Xavier Institute. Women have needs just the same as any of the men in comics. Here are the 10 most promiscuous girls in all of comic books. Black Canary is in a very high profile relationship with Oliver Queen, aka The Green Arrow. Since their marriage she has stayed faithful to Ollie, even with temptation in the forms of the likes of Hal Jordan. 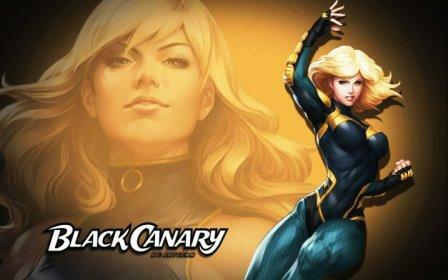 But before Green Arrow and Black Canary tied the knot, she had some fun as a single woman. Hooking up with guys like Batman were obvious connections, but she made some questionable choices too. She at one point took teenaged superhero The Ray under her wing as a pupil, but quickly took the 16-year-old under her sheets when the two became close. It’s a weird moment, since Dinah is a beautiful adult who could get any man she chooses. Why she chooses a minor is very questionable indeed.